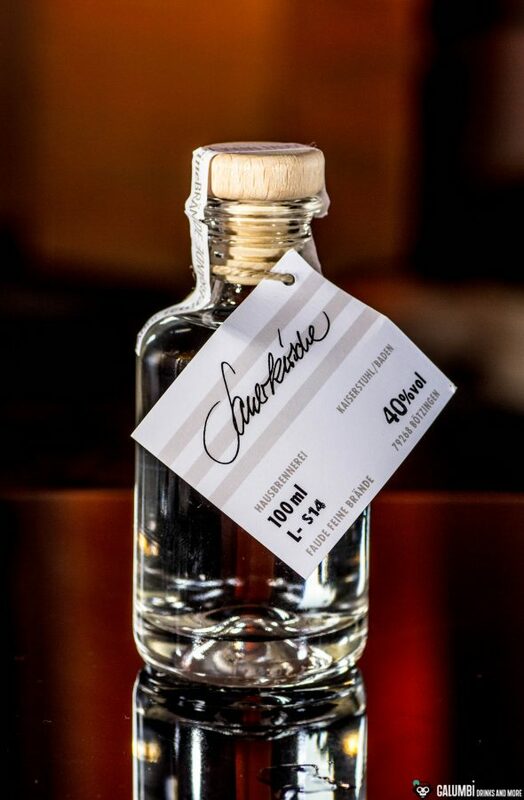 Until the present – when writing articles in my category “Pure Spirits” – I was mainly concerned with classic spirits which are not uncommon as an ingredient in cocktails or which are unmistakably representatives of the often so called “sipping segment”. However, fruit brandies are certainly not the first category of spirits that comes to mind on these issues. Although fruit brandies were used in cocktails even before the Prohibition in the US, mainly as the liquid legacy of German immigrants. Nevertheless, today they are often living in the shadows. But there are very ambitious efforts to change that. 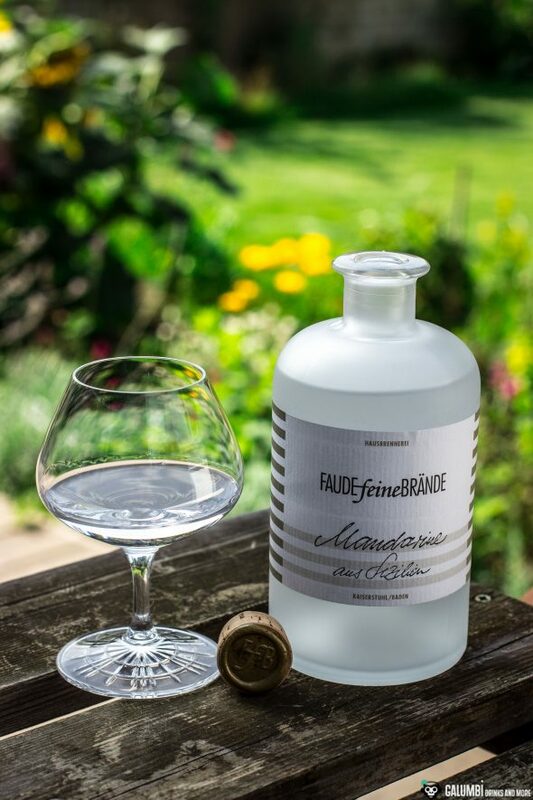 “Faude Feine Brände” are the result of such ambitions (directly translated it means “Faude Fine Brandies”). 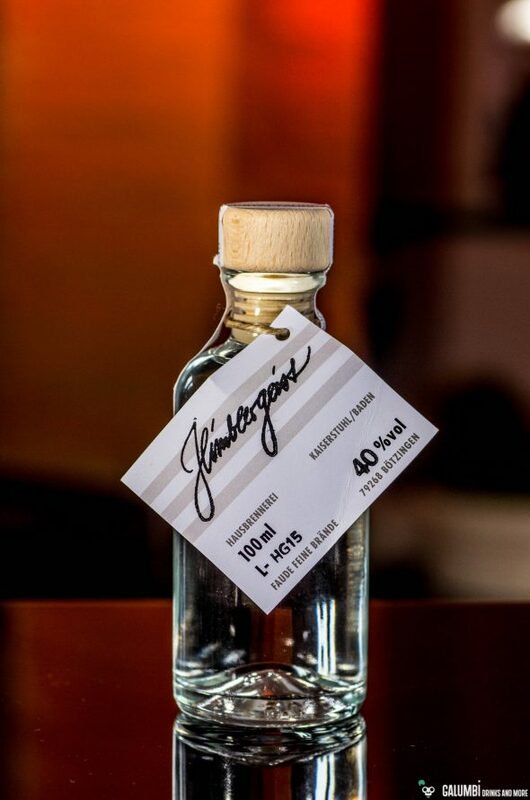 Basically, it is also very significant that I have first came upon the fruit brandies of this distilling company through various bar contest and cocktail recipes; despite some old recipes this is nothing I expected. But Faudes Brandies are not outdated or antiquated at all, since efforts are being made here to deliver a very high and innovative quality. Although this does not reinvent the wheel it may reinvent the general perception of fruit brandies. 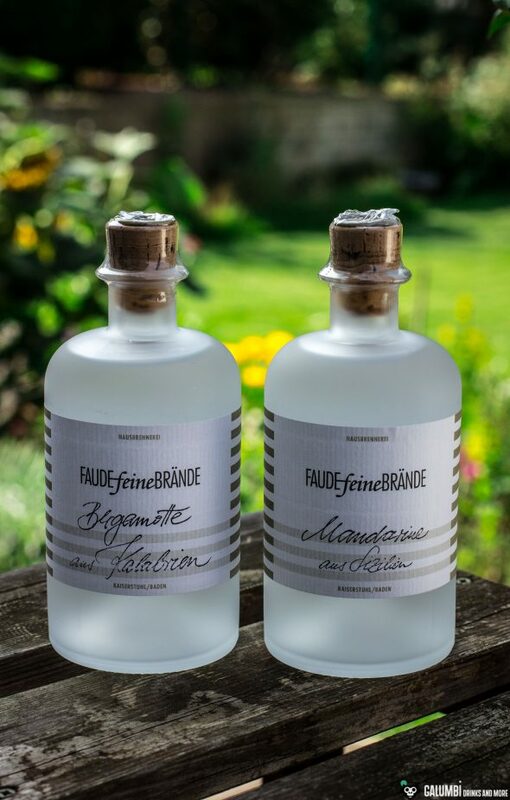 Faude Feine Brände are made by Florian Faude (about his participation in the making of the B my gin I already wrote some lines in the corresponding article) in the village of Bötzingen, Baden-Württemberg close to the Kaiserstuhl. There, Florian Faude runs a small distillery on the grounds of an old farmhouse from 1836 with associated distilling rights. The ingredients Faude uses mainly come from regional sources, sometimes they’re even taken from his own farming grounds. In addition to fruits he also takes vegetables into distilling considerations and so you can also get some very exotic varieties you wouldn’t expect such as beetroot or a spirit made from spruce shoots. One of the secrets behind the Faude brandies and spirits is the use of fresh ingredients. What may easily sound a little trivial is really essential because in contrast to some traditional methods relying on old windfalls, this definitely makes a difference. In addition, when creating their spirits the fruits and vegetables are steeped in pure alcohol and are then distilled after a very short time to obtain a particularly flowery, intensely fresh and delicate composition (the direct German translation, “Geiste”, is primarily used in the special context of fruit brandies made from fruits with less fruit sugar while the general term comparable to the English word “spirits” would be “Spirituosen”, although they are of course etymologically closely related). There are no sweeteners or other additives added to the spirits. 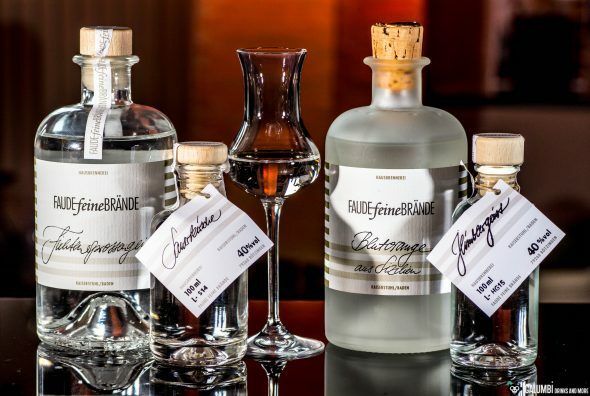 “Faude Feine Brände” is producing fruit brandies (mainly made from stone and pome fruits), spirits or ”Geiste” (made for example from wild raspberry but also from beetrot or spruce shoots) and liqueurs (such as for example apple-ginger, quince or walnut Green). 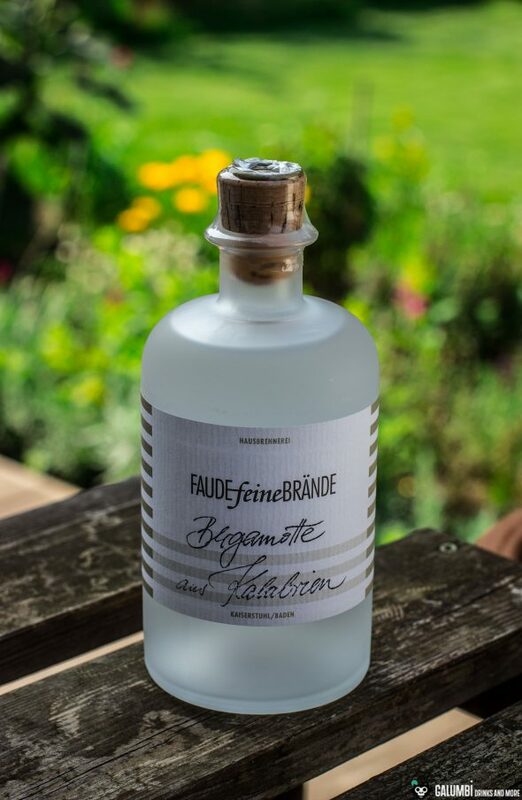 Faude Feine Brände have been awarded numerous medals and other prices in the past which are of course a great acknowledgement of the high quality ambitions of the manufacturer and give something like a high-quality German answer to the great supremacy of French Eau de Vies in the noble segment of fruit brandies. 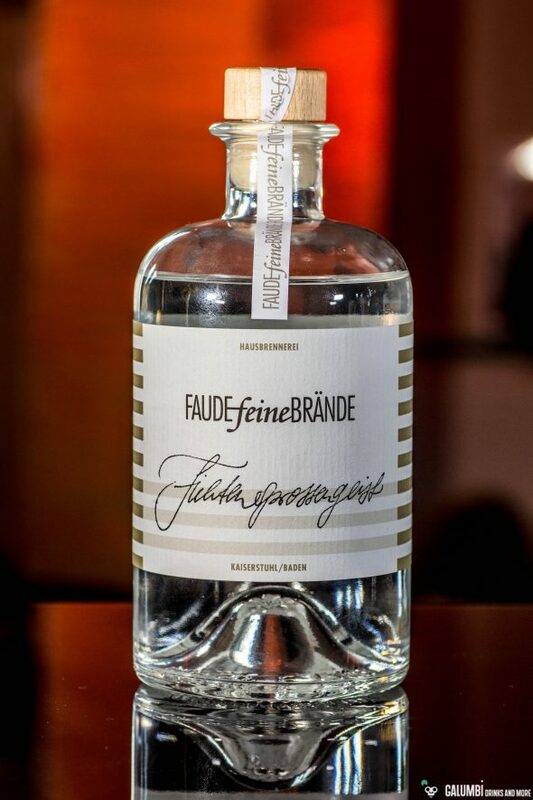 In the future I will certainly use some of the Faude Feine Brände from time to time in my cocktail recipes as ingredients since they promise really exciting new opportunities ranging from variations of existing classics to new creations. But today I want to especially review the pure quality of some of the fruit brandies / spirits in more detail here. These include the spruce shoots spirit (Fichtensprossengeist), the garden raspberry spirit (Himbeergeist), a new variety: the blood orange from Sicily and a very exciting sour cherry brandy. Maybe I’ll add more reviews of other varieties here in the future if I get the chance to do so. I have to admit that I was most excited about this particular distillate. On the nose it already shows its programmatic nature and its quality: Who has expected some kind of sauna infusion or the penetrating scent of medical healing oils will experience a gentle yet aromatic surprise. The spruce shoots spirit actually unfolds aromatic spruce notes and triggers associations of coniferous forests but it does that without completely overwhelming your senses, still leaving some space for floral side tones. There is a very gentle impression of slightly sweetened junket in the background. The taste of the spruce shoots spirit is also very gentle, alcohol is barely noticeable. However, on the palate the spruce shoots prove that they certainly have some vigour and the oral cavity is filled with an intense aroma. Yet the spirit remains creamy and mild. The finish is very long and dry. A taste that I did not experience before. It reminds me a little bit of juniper-emphasized gins but ultimately these two are very different animals. The name here is also absolutely leading the way. On the nose a wholly aromatic blood orange stuns the senses without any trace of alcoholic sharpness. One feels like standing in a Mediterranean orange grove because of the fine and fragrant nature of this distillate. But it offers more than just monotonous Orange Fragrance: it’s fresh with a complex bitterness of orange peel and tartly sweet breezes that is nestled in an incredibly subtle background of floral notes. Very beautiful! Again the very high-quality impression is confirmed on the palate: The blood orange is immediately there, but is in no way too sweet but sparkles with complex bitterness. With a very mild alcohol you have a sunny drop of the south in your glass. Wow; forest and shade! The raspberry is evident on the nose with a very beautiful and delicate fruitiness. I almost immediately felt the desire to reach out with my arm and pick some berries from an imaginary raspberry bush. Intensively sweet without appearing perfumed, you can even smell the small seeds of raspberries. Again there is no alcoholic sharpness and it has the same subtlety as the varieties already mentioned. Surprisingly light on the palate, this one emphasizes the floral and light nature of the raspberry. The taste is very round and complex, you can feel the whole raspberry in your glass. Compared to many other raspberry spirits I particularly like the very mild and gentle touch that nevertheless shows the natural product to its best advantage. The finish is soft and medium-long. I was also very excited about this one, especially how the sour cherry brandy would differ from a classic kirsch. And yes, it absolutely differs! The cherry is very fine and not intrusive at all; it is delicate and flowery, being miles away from the often intensely perfumed touch of kirsches. Nevertheless it is clearly a cherry brandy. The sour notes of the sour cherry can only be found with a little concentration since it is nicely integrated into the balanced overall composition. The aroma absolutely enchants me since I am a professing cherry lover. In terms of taste the sour cherry even reminds a bit of Amarena cherries, but without exaggerating that. It remains a well-balanced sour cherry which is particularly noticeable in the finish. Long and dry, it gives you the comforting feeling of resting under a small cherry tree. The name ” Bergamotte aus Kalabrien ” literally translates into “bergamot from Calabria”. But did you know what exactly a bergamot is? On the one hand, the name is quite familiar to many people. But also a lot of people do not know that it actually is a citrus fruit. The exact origin of this special variant not completely clear. It is certain that it has emerged in Southern Italy from the bitter orange, but whether it is in combination of bitter orange with lime or citron is not entirely known. Any way, it is not used as an edible fruit but primarily in the production of perfumes or as part of the famous Earl Grey tea – and not without reason! 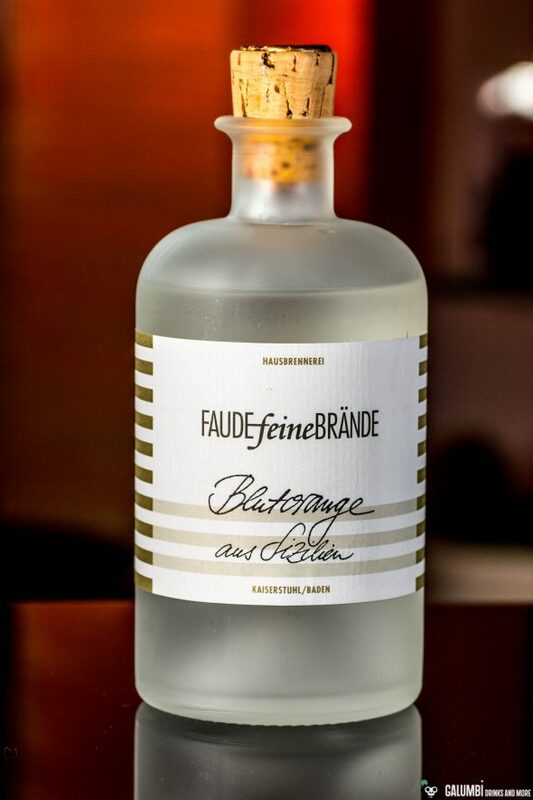 Faude Feine Brände Bergamotte aus Kalabrien is a spirit that reflects this unique character of bergamot very well! The nose is seduced by a fresh, spicy, almost overwhelming note, which immediately arouses associations of Earl Grey tea. It is also not difficult to understand the popularity of the bergamot in the perfume business because it is really a very aromatic and very lively fragrance, which is beautifully captured by Florian Faude in this “Geist” or spirit. 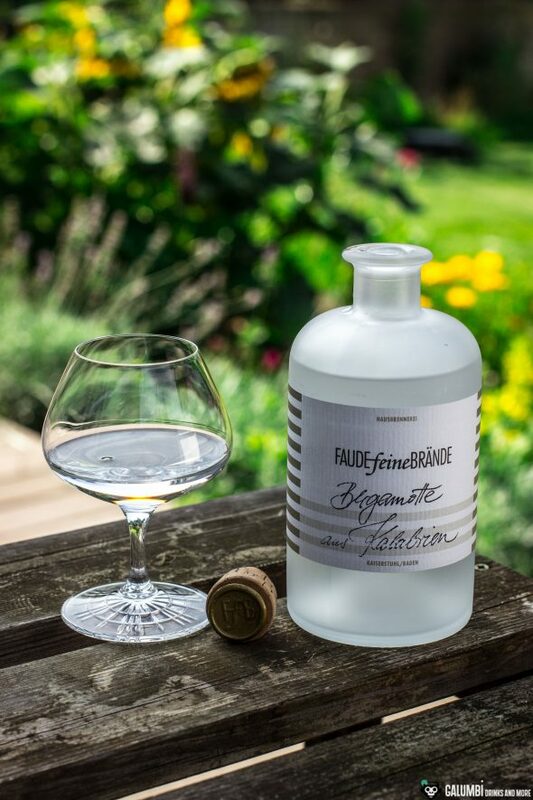 It also keeps its promise on the palate: Faude Feine Brände Bergamotte aus Kalabrien offers a spicy-fresh, crisp and extremely aromatic taste experience is. At the same time, the alcohol has no negative impact. On the contrary: as I have already described above, it is very discreet and always stays in the background while carrying the flavors easily and mildly. You can almost feel the warm wind of Calabria, while you concentrate on the slightly dry and always fruity-aromatic finish. A great spirit, which immediately triggers various ideas for cocktails in my mind. Here I was really very curious! I like the sweet and fine character of tangerines (the name of the spirit translates into “Tangerine from Sicily”) and I think it is the most underrated representative of the citrus fruits when it comes to cocktails. But can it also convince as a fruit spirit? Florian Faude uses organically cultivated tangerines from Sicily that are harvested directly at the foot of Mount Etna. They belong to the particularly aromatic variety Ciaculli. And indeed: Aromatic is the word here! 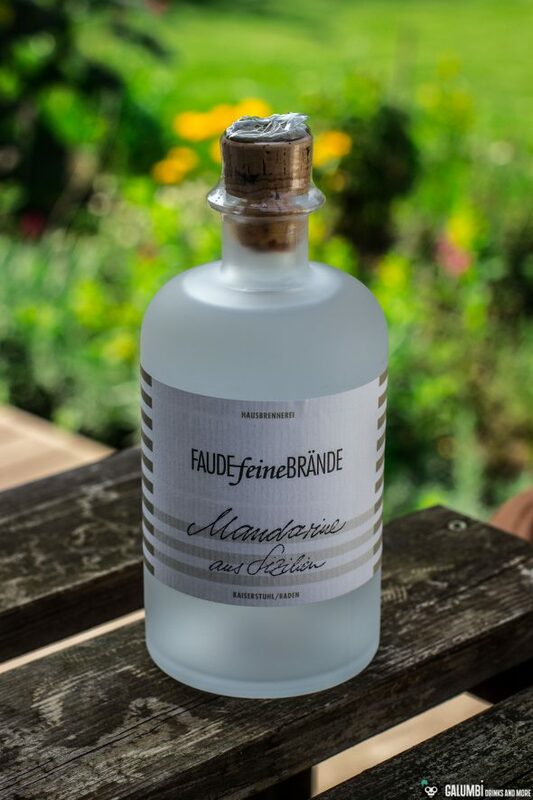 Faude Feine Brände Mandarine aus Sizilien really carries the essence of the tangerine – fresh, a fine, fruity acid, sweetness, even the more complex, slightly bitter tones of the peel can be recognized in the complex fragrance of that spirit, thus creating the impression of a plate full of freshly harvested fruits. A great experience! This distillate is also wonderful on the palate! Even subtle, delicate notes of the tangerine come through. Again, the alcohol is wonderfully integrated and does not disturb in any way. The reputation of the brand “Faude Feine Brände” was not earned by chance. If you want to taste an aromatic tangerine once in your glass, there is no way around this spirit. Very, very nice. I’m looking forward to use it as an ingredient! 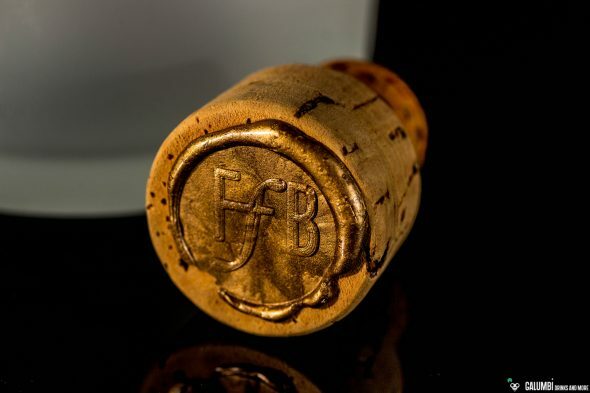 Buying sources: Faude Feine Brände can be bought from specialized traders or directly be ordered from the company’s website. I just love everything that Florian makes! The eau de vies are almost too good to be mixed. However, it is also fun to make cocktails with them!